The prospect of an X-Men “family drama” didn’t excite fans all that much after it was announced, but with an impressive cast brought together and Matt Nix and Bryan Singer involved as showrunner and director, respectively, it’s clear that there’s a lot to look forward to with the upcoming Fox series. 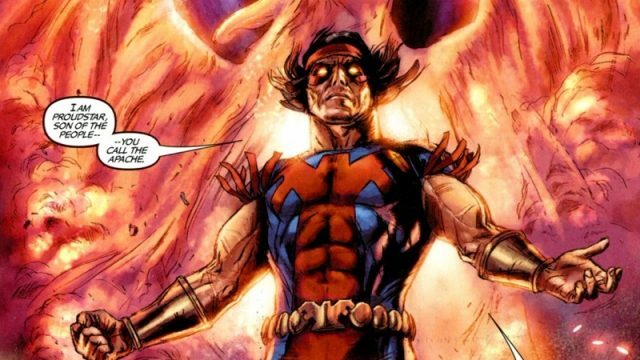 Now, we’ve got more good news, as another fan-favourite character from the X-Men comic books has been added: Blair Redford will take on the role of Thunderbird, AKA John Proudstar. When he was cast, it was mentioned that the actor would star as a “strong-headed Native American leader” and many assumed at the time that he was playing this particular mutant hero. Still, it’s nice to get confirmation and we look forward to seeing him brought to life in the show. In related news, it appears as if reports of the series being titled Gifted were a little premature. It was producer Lauren Shuler Donner who seemingly dropped that bombshell on Twitter earlier this week, but Entertainment Weekly reveals that Gifted is simply a working title which pays homage to the comic books. It’s obviously possible that the studio may still go with this moniker in the end, but working titles are usually used only for the pre-production and shooting, so it seems doubtful. It would also make sense for “X-Men” to somehow factor into its name, given the various characters appearing from the comics. With filming expected to get underway on the X-Men TV series any day now, expect to see much more from the show in the coming weeks. Until then, let us know your early impressions of it in the comments section down below.